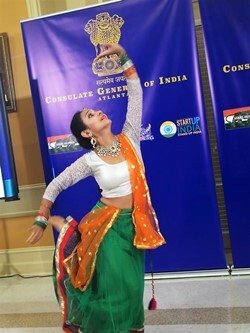 The observance and celebration of India’s Independence from Colonial Rule on August 15, 1947, which has become customary at the Consulate General of India in Atlanta, was hosted in 2018 with the usual pageantry. 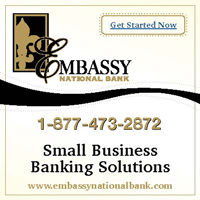 In the absence of the newly appointed Consul General in Atlanta, Acting Consul General L.T. Ngaihte and Mrs. Ngaihte, with the Head of Chancery Mr. Shailesh Lakhtakia and the entire consular staff in attendance, played hosts with an on-time delivery of a short and sweet program. 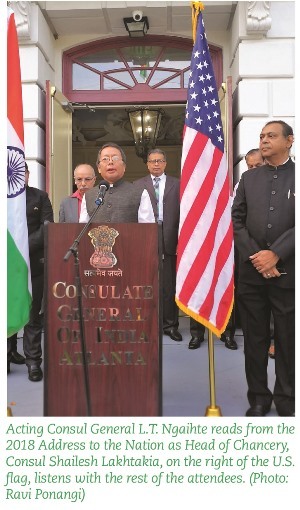 Atlanta’s weekday traffic congestion further convoluted by the recent changing traffic patterns delayed the arrival of a significant portion of guests, but the Tiranga (India’s tricolor flag) was unfurled at the appointed time, 9 am, and the rose petals that had been in its folds breezed their way down on the attendees, who sang “Jana Gana Mana” (the Indian National Anthem), unrehearsed, with vigor. Hon. Ngaihte read out highlights from President of India Ram Nath Kovind’s eight-page Address to the Nation. 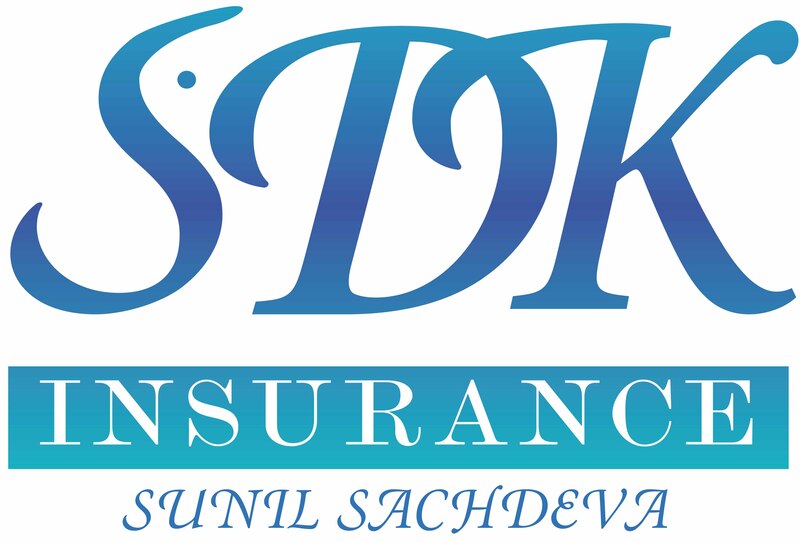 Staffers had distributed printed copies of the address, both in Hindi and English, for the guests. Hon. Ngaihte read the last few paragraphs verbatim. 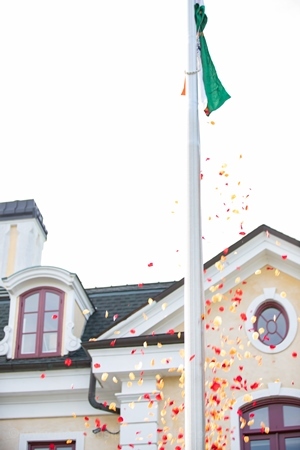 He explained the unusual significance of this year through the next, in which India and the Indian diaspora will celebrate the 150th birth anniversary of Mahatma Gandhi, beginning October 2, 2018. President Kovind had exclaimed, “Gandhi ji did not just lead our freedom struggle. He was and still is our moral compass. In my capacity as the President of India, I have been fortunate to have travelled around the world, particularly to a few countries in Africa. Everywhere, across continents, Gandhi ji is mentioned, cherished, and remembered as an icon for all humanity. He is the embodiment of India.” Hon. Ngaihte closed by thanking all attendees present for coming out in such large numbers, even though it was a workday. He invited all to enjoy the refreshments. 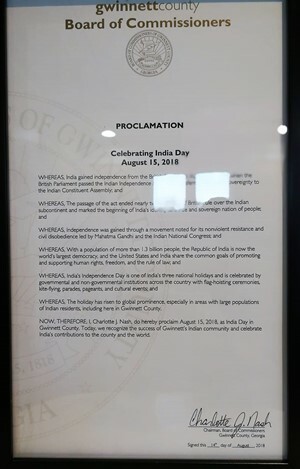 Consul Lakhtakia read the Proclamation by the Gwinnett County Board of Commissioners, naming August 15, 2018 as “India Day.” The framed proclamation was made possible this year by Rajan Vedak, who had originated the idea of India Day and who had obtained it last year together with Sudhir Agarwal and Ravi Ponangi. 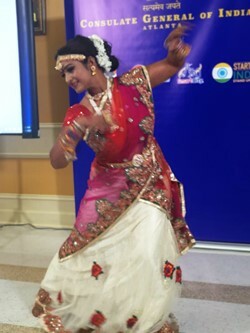 Lakhtakia announced the cultural presentation in the evening at the Consulate, to continue the celebrations. 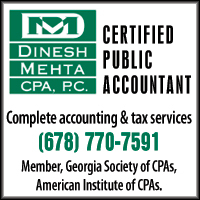 Thanks to the Sandy Springs Police Officers, traffic was well managed, as they guided attendees to overflow parking areas and assisted those crossing the street to the ceremonies on the lawn. 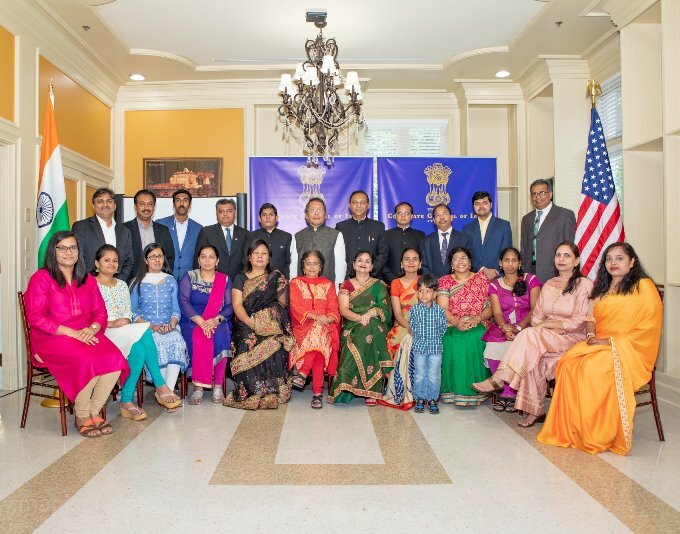 The Telugu Association of Metro Atlanta (TAMA) held a celebration elsewhere with unfurling the tricolor and the rendition of national anthem and patriotic songs. 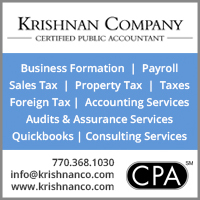 The India American Cultural Association (IACA) held its 22nd Festival of India on a weekend before the 15th, and the Indian Friends of Atlanta (IFA) held its fourth Freedom Mela after the 15th. 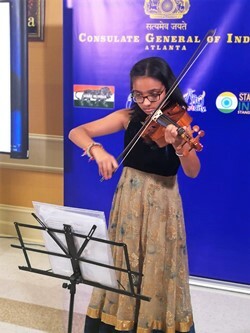 This video covers Independence Day celebration on 15-August 2018 at Consulate General of India, Atlanta GA. 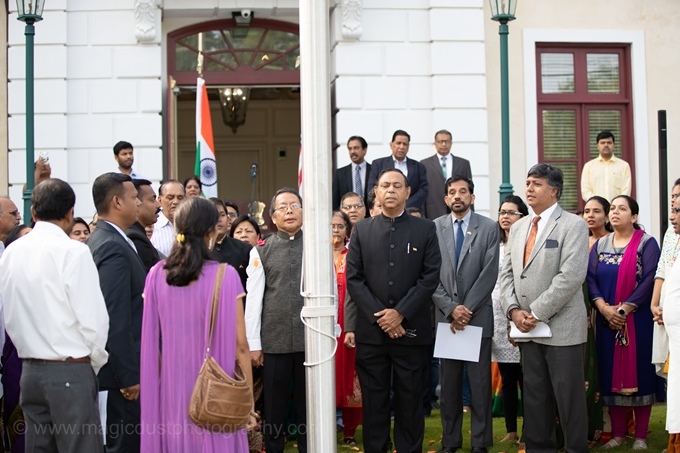 Flag hoisting followed by Cultural diversity function under the program called "India at 70"